Welcome to the Knights Inn Mesa, AZ We are lovated in the heart of Mesa and a great place to stay during Spring Training or any other nearby event. North of Chandler and Gilbert Az. the Knights Inn Mesa Hotel is minutes from a number of popular Arizona attractions. The Hohokam Stadium, EVIT (East Valley Institute of Technology), Mesa Arizona Temple (LDS Temple) and the Mesa Convention Center just to name a few. 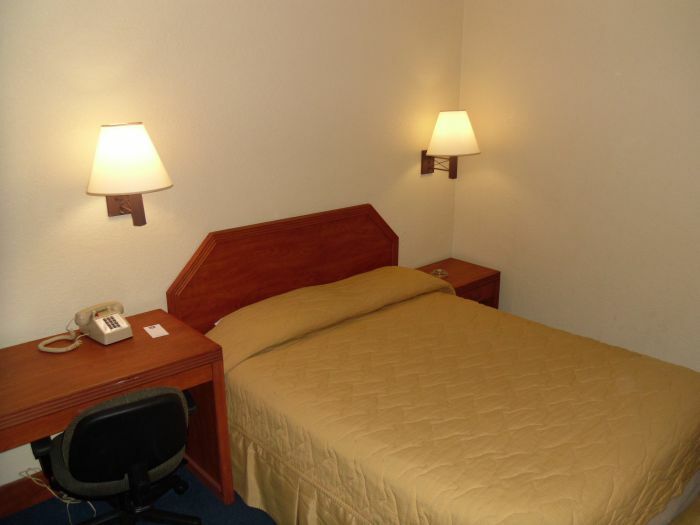 Relax and enjoy the comfort and charm of the Knights Inn Mesa, AZ. 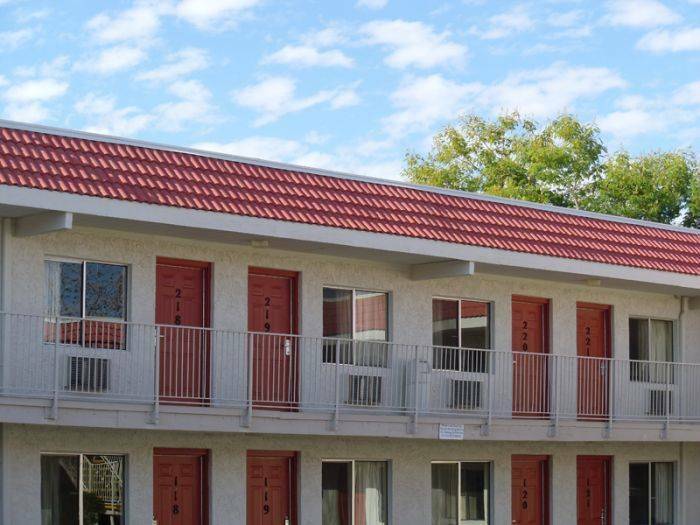 The Knights Inn Mesa is conveniently located just minutes from Mesa's Metro Rail Station. Our Single Queen Room features a queen-sized bed with Wi-Fi High Speed Internet Access and Cable. Our Double Queen Room features two queens sized bed with Wi-Fi High Speed Internet Access and Cable. The Knights Inn Mesa offer travelers a comfortable, enjoyable, and restful stay. 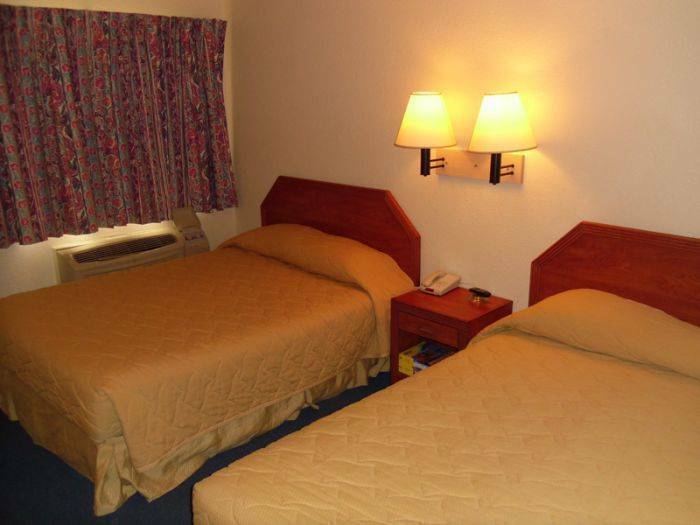 Beautifully appointed rooms and basic amenities make the Knights Inn Mesa a nice Greater Phoenix travel destination. Centrally located in Mesa, AZ, the Knights Inn Mesa is a short walk to many area attractions, restaurants and shopping. 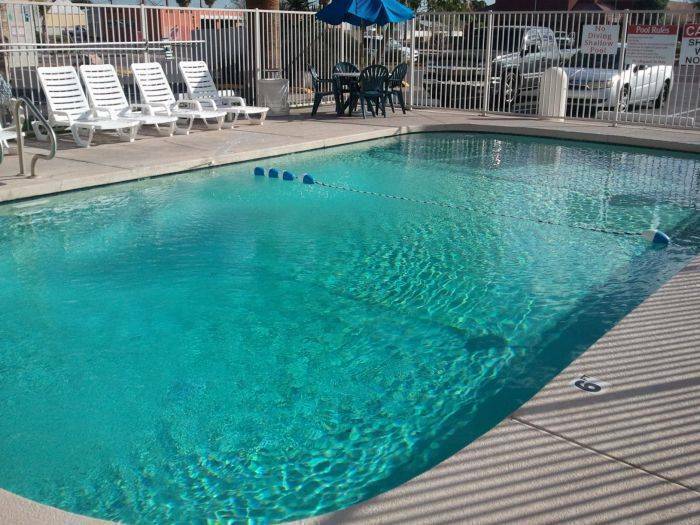 If you want to stay in and relax, the Knights Inn Mesa offers a heated swimming pool. If you are traveling on business, we offer free HSIA (High Speed Internet Access) Wi-Fi. There is a variety of dining options near the Knights Inn Mesa. Take I-17 South to the 101 Loop East, take Exit 51 onto 202 Loop West. Keep left at the fork, follow signs for 202 Loop East and merge onto 202 Loop East. Traveling on 202 East, take Exit 12 / McKellips Rd. Turn right at West McKellips Rd. Take the 2nd right onto North Country Club Dr. Turn left at West Main Street and the Knights Inn will be ahead on the right. Take I-10 West towards Phoenix, to Exit 154/ US-60 East / Superstition Freeway. Travel on US 60 / Superstition Freeway to Exit 178 / Alma School Rd. Turn Left on Alma School Rd. Turn right on West Main Street and the Knights Inn will be ahead on the left. Take Superstiton Freeway / US 60 West to Exit 178 / Alma School Road. Turn right on Alma School Rd. Turn right on West Main Street and the Knights Inn will be ahead on the left. Traveling on I-10 East, take Exit 154/ US-60 / Superstition Freeway. Drive on US-60 to Exit 178 / Alma School Rd. Turn Left on Alma School Rd. Turn right on West Main Street and the Knights Inn will be ahead on the left. Departing East on Sky Harbor Blvd, take the ramp left to 202 East Tempe / Mesa. Take Exit 12 for McKellips Rd. Turn right at West McKellips Rd. Turn right on North Horne Rd. Turn right at East Main St. Knights Inn will be ahead on the right.